Most piano teachers will encounter a piano student who has ADD (Attention Deficit Disorder) or ADHD (Attention Deficit Hyperactivity Disorder). And let’s be blunt… they can be very difficult students in a piano lesson setting. But they can also be amazingly wonderful and rewarding piano students if we as teachers make the effort to adjust our lessons to suit their unique needs. This is uncharted territory for many of us. And while some piano teachers may have the ability to hand-pick their students, other teachers do not. And still others feel strongly about giving all children the opportunity to experience piano (I’m in this camp!) 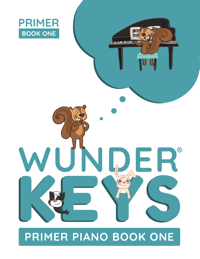 For those teachers who may be struggling with a piano student with ADD or ADHD… this post is for you! Because we’re on this topic, I’m not going to be long-winded or wordy… because that is one of the things you’ll want to avoid when teaching these children! 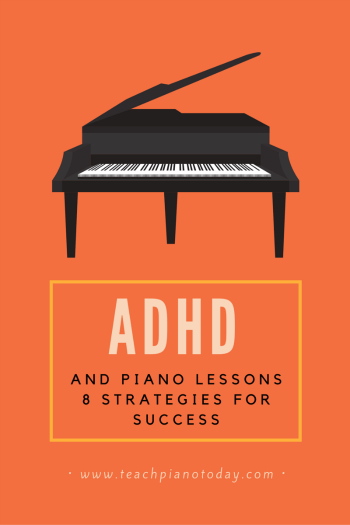 So, here are 8 strategies for teaching piano lessons to students with ADD or ADHD. You may be the most interesting, unique and innovative teacher in town, but reign in your 3-ring circus when it comes to these students. Have a clear lesson structure that is predictable, with routines you follow in the same manner each week. These piano students thrive in an environment where they know exactly what to expect every time. This doesn’t mean be boring… but it does mean that you need to be aware of their need for structure. Use charts as a visual to represent your lesson structure and stick to the chart each week. Be clear with your expectations and enforce them… kindly. This is easier said than done! There is a careful balance that you need to find where your piano student both respects and enjoys you. Avoid the desire to want them to like you so much that you lose control of the lesson. 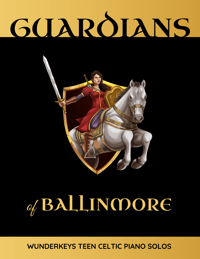 They will like you more if they feel secure in knowing that you’re the one in charge. 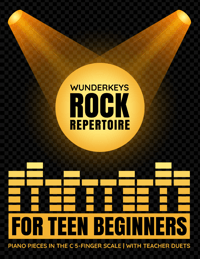 Choose music-related rewards that are earned for completing certain tasks during the piano lesson. These don’t need to be stickers or candy, but rather the opportunity to play a favorite theory game, a favorite duet etc. Find something they dearly love to do and offer it as a reward for following your clearly-laid-out expectations. If they choose not to, then the reward doesn’t happen that week (but remind them of their chance to try again next time). Make a point of catching them doing something positive as often as you can and tell them what you like about what they’re doing. Yes, his or her behavior may be annoying, but if is minor and isn’t affecting the learning at that moment then let it slide. It can become extremely discouraging for a child if they are constantly hearing “Stop”… “No”… “Don’t”. Save those words for when you really need them and they’ll have much more of an impact. 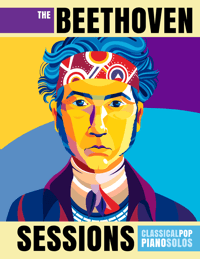 Eliminate anything from your piano studio that could be distracting. Fish tanks, prize buckets, pencil cases… they all “call” to your student and you end up spending your piano lesson time wrangling them away from the distraction. It’s much easier to not have the distractions there in the first place. Use the piano lid and close it while you talk… the piano itself is often a distraction! You have the opportunity to be your piano student’s ray of sunshine each week. By being a consistent, kind, and understanding role-model you can have a large impact on your student’s life. It is rewarding to be a piano teacher. It is profoundly rewarding to know that your student would not have had piano in their life… had it not been for you. 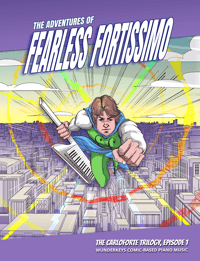 Finally… check out our resource, The Adventures of Fearless Fortissimo. 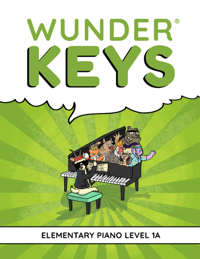 The captivating story and comic-style images combined with exciting piano pieces speak to students who need lots of motivation. 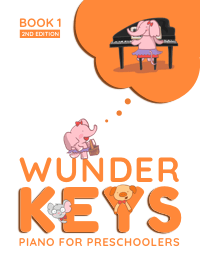 Piano teachers everywhere are telling us how even their most easily distracted students are enthralled with these piano books!